Laid down by Todd Pacific Shipyards, Inc., at Tacoma, Washington, on 2 April 1945. Work stopped on 11 August 1945, however, because the war was rapidly approaching its end. Scrapped on the ways. 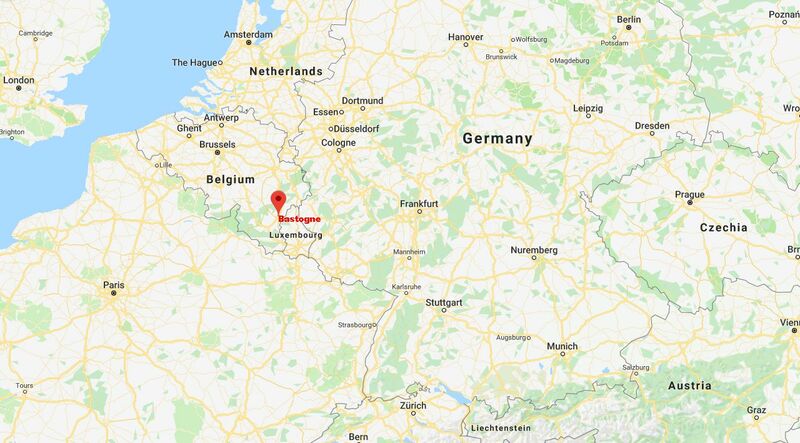 CVE-124 was assigned the name Bastogne after a town in southeastern Belgium, a rail junction and road center, located in the Ardennes Forest (NS0312401). During the German offensive of December 1944, and as part of the larger "Battle of the Bulge," the American Army's 101st Airborne Division, under the temporary command of Brigadier General Anthony C. McAuliffe, USA, joined elements of the 9th and 10th Armored Divisions on 19 December 1944 to defend Bastogne, through which ran roads important to the success of the desperate German gamble to split the Allies. Unable to take the town, the German 5th Panzer Army besieged it; but Bastogne resolutely held out from 20 December until relieved by General George S. Patton's 3rd Army on the 26th. For its brave stand, the 101st was awarded the Presidential Unit Citation; and General McAuliffe's purported one word response to a German ultimatum to surrender, "Nuts," earned him a secure place in American military history. 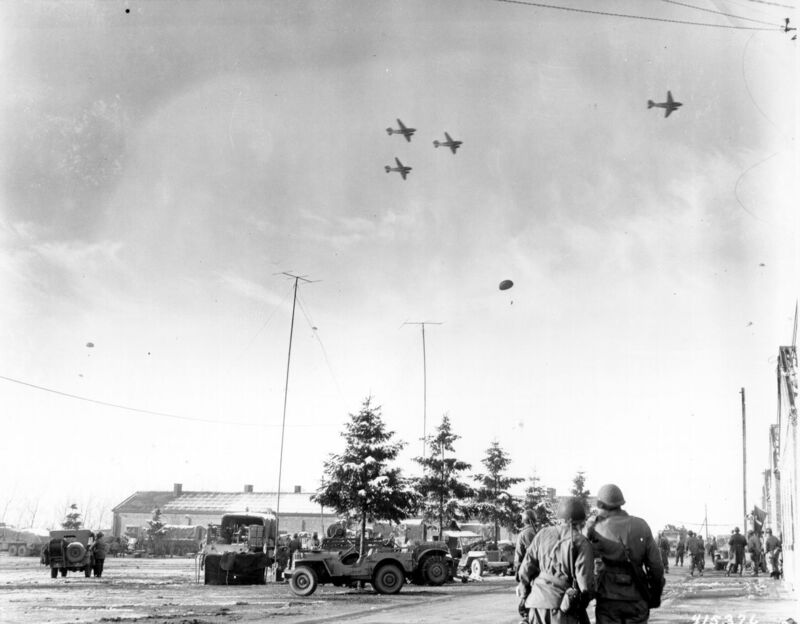 NS0312401a: Troops of the 101st Airborne Division watch C-47s drop supplies to them, Bastogne, Belgium, 26 December 1944. Jeeps and trucks are parked in a large field in the near distance. U.S. Army Signal Corps photo.